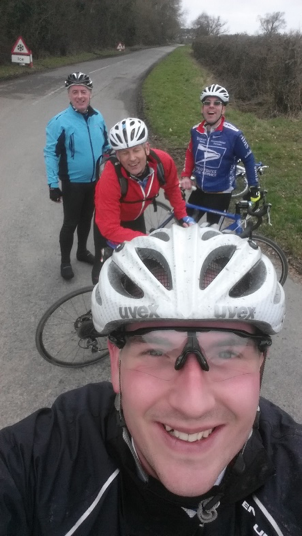 On Sunday the 19th February the Peaky Climbers: Macca, Stewie, Allen, Ben and Adam (an honorary Peaky for the day) set off and cycled to meet at Didcot where they would catch a train to Chippenham and cycle a route planned by Stewie back to Wantage, Easy right?! Everyone met successfully at Didcot Parkway for the 8.55am to Chippenham. Bikes booked on and with our friendly conductor answering all our need to know questions we were ready, or were we? The Great Western Railway didn’t let us down as the train was 30 minutes late, after it developed a safety issue, but eventually it arrived and we were soon on our way. All excited about Stewie’s route we left the train station in Chippenham from the wrong side of the station. This caused a couple of issues as we were off the route from word go. Navigating through Chippenham with a couple of wrong turns but eventually winding through some lovely villages and re-joining the original route passing Lacock Abbey. 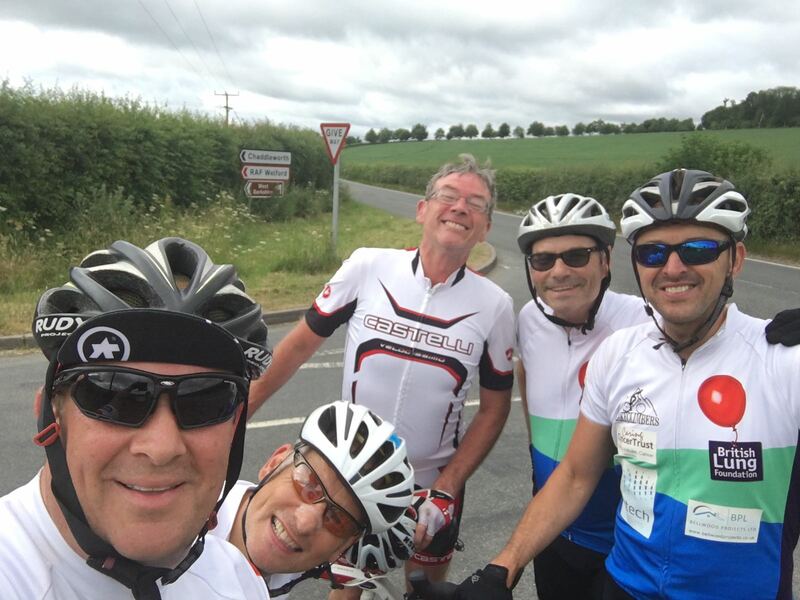 We then headed up Bowden Hill which is 2km and 8% to 10% of climbing Which was challenging but with Macca sending encouraging thoughts through the group it was soon over and we were zooming through the countryside in a professional peloton. The countryside was stunning. Some wonderful chocolate box cottages, in beautiful villages with breathtaking views. It’s great to see some different countryside as we progress with training. After about 60km we had hit some hills but all was well as we suddenly started to approach Broad Town Hill, which some of the Peaky’s had been up the week before. This was 2.9km of climbing but again the positive comments and encouragement meant we all made light work of the hill. It was a great ride today. A superb route prepared by Stewie (once we were actually on it) and thoroughly enjoyed by all.